A man has appeared in court charged with murder following the death of a woman in Leeds. 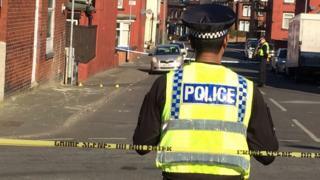 Police were called to Milan Road in Harehills on Monday evening after a 21-year woman was found seriously injured. She later died in hospital. Karar Ali Karar, 29, of Milan Road appeared at Leeds Crown Court on Thursday and was remanded in custody. West Yorkshire Police said a second man arrested in connection with the death had been released without charge.